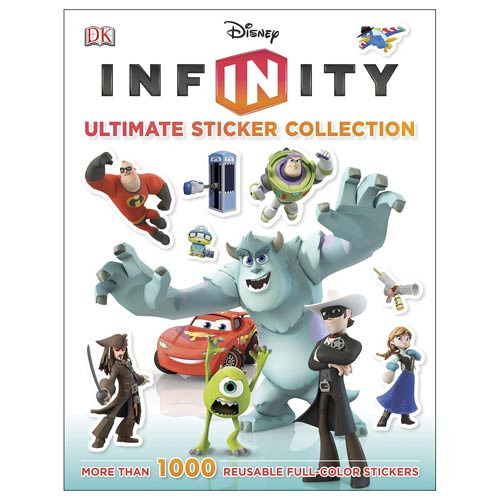 Children of all ages can continue the fun of the Disney Infinity video game now with stickers with this Disney Infinity Ultimate Sticker Collection Book! With more than 1,000 full-color stickers of everyone's favorite Disney and Pixar characters, kids can re-create scenes from their video game experience or make completely unique ones while learning even more about the characters and worlds they know and love. Recommended for ages 5 and up. Spans 96 pages.